City manager Wally Bobkiewicz at a City Council meeting. Bobkiewicz said he plans to restructure staff in the Youth and Young Adults division, causing confusion amongst aldermen and residents. The city’s plan to restructure Evanston’s Youth and Young Adult division’s staff was met with confusion from residents and aldermen at an Oct. 22 City Council meeting. City manager Wally Bobkiewicz initiated plans to move Kevin Brown — current community services manager of the Youth and Young Adult division — to a new community workforce development position. However, Ald. Peter Braithwaite (2nd) wanted more information to understand how this shift would affect community members served by the division. The Youth and Young Adult division works with a target population of residents ages 14 to 26, providing workforce development, alternative recreation in promotion of health and fitness, education and civic engagement. The division is responsible for operating the Mayor’s Summer Youth Employment Program, which provides workforce opportunities to youths ages 14 to 18. The reorganization would have the Youth and Young Adult division report to Ken Cherry, recreation manager at the Fleetwood-Jourdain Center. Braithwaite told The Daily his main concern was a lack of “outward communication” about the proposed restructuring from Bobkiewicz. “He didn’t even consult anyone in the department to make them aware of what he was doing,” Braithwaite said. But Bobkiewicz said deciding how to allocate resources within the city’s operating budget — including restructuring city staff — is a part of the city manager’s responsibilities. He said his intention behind moving Brown to the community development department is to improve on one of council’s main goals for 2018: increasing job creation and workforce development in the community. Brown said he was “shocked” to hear about the new job because there had been no direct discussion with him about the change. “I would think that, if you want to move somebody to a new job because you say you think they could do that job better, you usually would want to talk to the person first,” he said. The staffing readjustment would not change the division “much at all,” Bobkiewicz said. 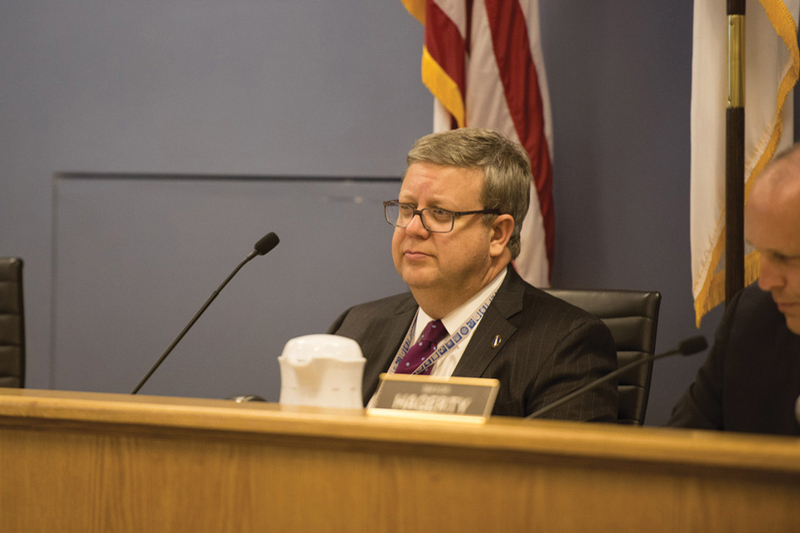 Initially, community members were confused over whether the division’s budget would be readjusted, since the move was announced during a city budget discussion. “The division remains. All the employees remain, all the budget is the same,” Bobkiewicz said. Bobkiewicz will provide the council with additional information about the new position, which would not take effect until January. For now, Brown will remain in his current position at the Youth and Young Adult division. At the Oct. 22 City Council meeting, some aldermen suggested that the council would be micromanaging Bobkiewicz’s job by calling this restructuring into question. Braithwaite, however, said it was his responsibility to raise concerns according to what people in the community want to know.